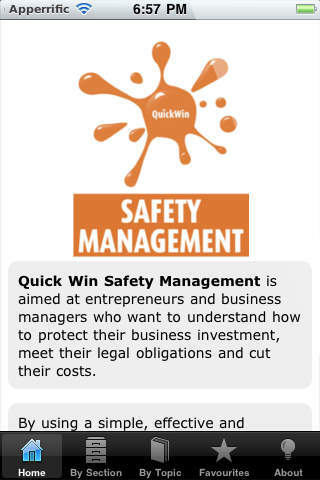 Quick Win SAFETY MANAGEMENT is aimed at entrepreneurs and business managers who want to understand how to protect their business investment, meet their legal obligations and cut their costs. By using a simple, effective and internationally-recognised safety management model, entrepreneurs and business managers can learn the basics of effective safety management, including the principal safety management components, how they fit together and relate to each other and how improvements in safety performance can be made and measured. 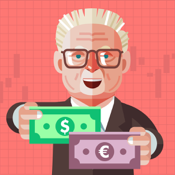 Policy sets out the safety management aims and objectives for your organisation, including how it will meet its legal, financial and moral obligations. Organisation defines what organisational structures will be put into place in order for your organisation’s management and employees to meet the aims and objectives set out in the policy section, including defining management levels, job position responsibilities and accountabilities and reporting hierarchies. 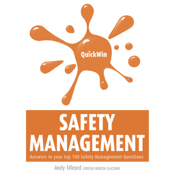 Planning and implementation outlines how the safety management system will be planned and implemented to meet your organisation’s policy objectives, including setting measurable objectives and targets, hazard prevention and risk management. Evaluation outlines the processes in place to evaluate the performance of your organisation’s safety management system, to verify whether the aims and objectives set out in the policy section are being met. 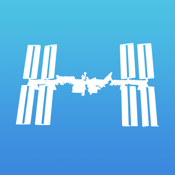 Action for improvement shows how your organisation can learn from its own failings or mistakes within its safety management system and, where these have been identified, how improvements can be made.